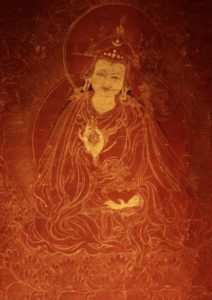 Padmasambhava is one of the most fascinating figures in Buddhism. Part historical, part mythical, he is known as the second Buddha, credited with establishing the Buddha Dharma in eighth century Tibet by subjugating the indigenous deities and demons. What has his extraordinary story got to tell us in the modern world? A day of meditation, reflection and ritual, exploring the legacy of the archetypal guru Padmasambhava, with a talk by Paramananda.